"It would be devastating." That's how Dr. Francis Collins, the Director of the National Institutes of Health, described billions of dollars in cuts to medical research programs that are scheduled to take effect in January. It's not just research that is threatened. These cuts will also affect the Food and Drug Administration, the agency that is responsible for the review and approval of new medicines. That could slow the review process for promising new CF drugs. The good news is that Congress can still prevent these cuts, but they need hear from you. The clock is ticking: there are only a few more opportunities for Congress to act before the cuts take effect. Tell Washington to protect these important programs and focus on reducing our nation's deficit without jeopardizing our efforts to add tomorrows. lessen our budget deficit and national debt. How will these funding cuts affect people with cystic fibrosis? finding inventive ways to discover potential new medications. Can Congress stop these funding cuts? national deficit that do not harm critical agencies like the NIH and FDA. Click here to tell Congress not to cut critical research and drug development. Seriously, is the boy at the top of this page not adorable? Oh my God I could just eat him up. You've never met a more loving little boy in your life. He is constantly handing out hugs [to his sisters who don't want them], asking to hold is little brother and smothering him with kisses, always giving a great big smile and a friendly "hello" to anyone that crosses his path. And all with this coy little smile that just melts your heart. I just have to share this pic of him this afternoon in an unprompted interaction with #4. We've seen some frustrations from Drew lately. He doesn't totally cooperate when we're trying to do his treatments, isn't interested in eating all that we want him to eat, even if its in the form of donuts and milkshakes (jealous! ), and just generally defiant if he's not getting his way. Perhaps its the nature of the beast; so much of his life is out of his control that when he has the opportunity to take control of something he's going all out. We try to offer him options - what he wants to watch or play during treatments, if he wants his nose cleaned out before or after his breathing stuff is done, where he wants to sit in the car (him and Lily often switch carseats). But its gotta be tough for him. I mean we all have days where we simply don't feel like doing something. Hell, here I sit at 10:00pm with a pile of nebs sitting next to me waiting to be cleaned. They're not gonna clean themselves, but I just don't feel like it right now. But he hasn't got a choice. 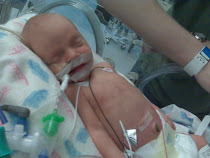 He will get his breathing treatments and airway clearance done three times a day, everyday, until forever. We will keep him healthy. He will get the opportunity to do lots of things in his life - things his sisters and brother will do, things he will do on his own. we are focused on what is good and right, not what could go wrong. We went back to the clinic on Tuesday for a quick culture to see if our pseudomonas eradication worked. I swear they should offer parents a Xanax for every day they have to wait for that final read to come in. I hope its gone, but we have a plan for if its not. It involves IV's again one more time before he would be considered colonized with pseudomonas. I hope he's not. We will deal with it if he is, but just thinking of his little lungs being colonized with a harmful bacteria will be a lump in the throat for a while until we figure out what we have to do on an ongoing basis if one is colonized with pseudomonas. Happy, positive thoughts for one more day. I swear attitude is half the battle! And on that attitude note, I meet many people dealing with a different chronic illnesses, and many times our attitudes are not the same. Every once in a while now, I will mention in passing that Drew has CF. Period. I will answer any question that anyone asks me, and can talk for hours on end about all of the projects that I'm working on toward improving outcomes or the work that I do with the Foundation to spread awareness. 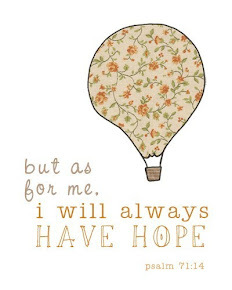 I wish they could see how much better it feels to focus on hope. No disease is easy. Having a kid with a runny nose isn't exactly a walk in the park. Winston Churchill may have said it best -"Attitude is a little thing that makes a big difference." Amen. We had our Oktoberfest: Drinking for Drew party this past Saturday and in addition to a TON of fun, we raised $1,050 for the Cystic Fibrosis Foundation! We had between 60-80 people and the party went from 5:30pm until the wee hours of the morning (ok, really just like 1am but that's like the middle of the night in my world). We are go grateful to have such wonderful friends who support us as we fight for a cure. We've already started planning for next year so keep your drinking pants handy!! CF: Adapting to CF Normal. Ahhhh, free time. Maybe today is the day where my dream schedule begins to kick in. Ella gets dropped off at school at 12:30 and Drew, Lily and Jake all take a nap from 1-3, waking just before we have to go back for Ella. I'm certain that most days it won't work out quite that nicely, but I like the idea of it! On Friday afternoon, I had the opportunity to talk with Genentech, the makers of Pulmozyme and the people behind the website CF Living. They were looking for feedback on different projects and aspects of CF life. They shared with me some of the projects that they have done and are currently working on, and I told them all about the C3N project and the PIQI group that I'm a part of at Children's. We talked for about an hour, just about resources and things that I like and then other areas where I feel there may be a "miss" in terms of available or easy to find information. It was a really interesting call, and I think that being introduced to the CF Living website was the best part. I like that it has stories from families at different stages. I like that there is non-clinical information about CF - like "what CF means to me" kind of stuff instead of just numbers and facts. 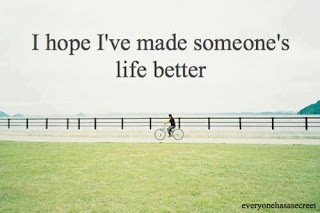 I hope that at some point we can contribute like that, because on videos and websites like CF Living you hear people that feel the same way that you do, that you can connect with and I hope that we can share our story so that other people can connect with us the same way. There's a sort of comfort in knowing that you're not alone. Also, if you can make it through the ridiculously long intro and lengthy extra dosing information bits throught the video, there is a really nice little animated video on how your different breathing treatments work to keep your lungs healthy. You can check that out by clicking HERE. I'm going to keep digging around on these website and will post any other information that I find helpful. A few weeks ago, I learned that the voice of The Count (Sesame Street) passed away. My kids walk around the house counting everything - 1 ah, ah, ah, ah, 2 ah, ah, ah, ah, etc etc - and singing 8 is Great, all thanks to The Count. What I did not know about The Count is that he had a daughter who had Cystic Fibrosis! And his ex-wife, the girls mother, wrote about about her life. I bought it on Amazon for $.01 (that's right, 1 cent) and I'm about halfway through. Its pretty easy to read and is interesting to see what life was like for someone born in the 60's. Christine passed away in 1982, before the CF gene was ever discovered. Some might think it torturous to read about unhappy endings or watch documentaries on CF that don't always end the way that you would want them to, but I feel like recently I changed my way of thinking about CF. I'm not so afraid of it anymore. I still have my moments of fear and worry, but I'm trying my best to do everything that I can to make sure that our story ends differently. Again, I have my moments, but most of the time I just accept it as who we are. Who WE are, not who Drew is. CF is a part of what makes up our family, and we will all keep positive attitudes and keep moving forward as we search for the cure. This weekend we have our biggest fundraiser, Oktoberfest: Drinking for Drew. My husband and one of our friends will be making sausage on Wednesday night (they've really gotten quite good at it!). On Saturday, our backyard will be transformed into a Biergarten full of home brewed beer made by some of our dear friends, food, and friends. Anyone and everyone is welcome. Its $25 and all if it will go to the CFF. If you're in or around Cincinnati on Saturday night, swing by! School started on Tuesday. Ella is going to a different preschool this year because the one we were going to before was just to far away and the schedule for 4yr olds just didn't jive with the napping schedule around here. She was a little anxious at first but when it came time to go, she readily hopped into the car and away we went. Shes not one to say much about how her day went, but she seemed to have a good time and went back today without much of a fight so I think we are good. The ol' napping schedule might have to be adjusted a little though. Poor Jake slept in today so didn't go down until late for his morning nap. I had to wake him up to take Ella to school and then he wasn't ready to go back down until it was almost time to go get her. I had to wake the other two up too, which is pretty much against everything I stand for. In my head I imagine my days going something like this: Wake up around 8, hang out and play nicely until lunchtime, take Ella to school, put everyone down for naps, enjoy my free time, everyone wakes up and we go pick up Ella. I have yet to experience that, but its only day 2 so I'll hold on to hope. I have no idea what we are going to do once we have school for real. Next year when Ella is in kindergarten and Drew & Lily are in preschool, we will need to be at school at something like 8am. I kid you not that it is rare that we even wake up before 8am. My kids have many shortcomings, but they are the best darn sleepers. If we have to be at school at 8, that will mean waking up at something like 6 or 6:30 (I know, like the rest of the world) to get everyone dressed and fed and all of Drew's treatments done. As none of us are what you would call "morning people", I imagine that being a stressful part of the day. I have a year to figure all of that out. And enjoy my sleep. This Friday is my call with Genetech. I'm definitely excited to talk to them and see what they want to talk to me about. I'm anxious for the opportunity to spread the word about the C3N project too and see what they think about that. I also need to get planning for our Oktoberfest: Drinking for Drew fundraiser that is coming up on the 15th. We are hoping that its bigger than last year. Last year was a ton of fun. If you're in town we would love to have you! Now I need to go to bed. I know I sleep until 8am. I also go to bed at 10pm. I'm well rested. Perhaps that's why I have so much energy!